While outside of the Columbia area, there are many events that everyone is bound to love. Weather you want to get in the Christmas spirit, or take a break from all the holiday activities, there are many events that will be perfect for you. If you want to get into the Christmas spirit, Shadrack’s Christmas Wonderland and the Holiday Lights Safari are a great way to experience the many lights of Christmas. If you want a fun break away from all the Christmas activities, Family Climb Night and Coastal Kayaking are really fun ways to get away from all the Christmas events. Through December 11 – “It’s a Wonderful Life” at the Younts Performing Arts Center in Fountain Inn. This theatrical rendition of this classic holiday film will warm your heart and make the holiday season all the more meaningful. For more information call (877) 725-8849 or visit http://www.yountscenter.org/fire-theatre-co. Through December 17 – “Let Nothing You Dismay” at the Center Stage Theater in Greenville. This is a heartwarming comedy about a couple awaiting the birth of their adopted daughter, which they want to do in peace, but their family has other plans. For more information call (864) 233-6733 or visit http://centrestage.org/let-nothing-dismay/. Through December 18 – “Holiday at the Peace” at the Peace Center Concert Hall in Greenville. Presented by the Greenville Pops that will provide you with holiday tunes for you to sing along to, with guest appearances by Rachel York, the International Ballet, and Mr. and Mrs. Claus. For more information call (864) 467-3000 or visit http://www.peacecenter.org/events/detail/holiday-at-peace-2. Through December 20 – Holiday Market at the Anderson County Farmers Market in Anderson. This Saturday event through the holiday season will give you the chance to search over 40 vendors for that unique gift for that special someone or maybe as a treat for yourself! For more information call (864) 231-1924 or visit https://www.facebook.com/events/1608567709447610/. Through December 30 – Christmas Light Festival at the Anderson Civic Center in Anderson. You’ll enjoy almost 2.5 miles of lights, a chance to get your picture taken with Santa and for an additional fee, get the chance to take a Horse and Carriage ride! For more information call (864) 617-5774 or visit http://www.andersonchristmaslights.com/. Through December 30 – Roper Mountain Holiday Lights at the Roper Mountain Science Center in Greenville. Take a 1.5 mile tour through the lights, and then stop for a visit with Santa, take a walk on lighted trails, get a creation from the balloon artist, see the giant handmade Christmas Card, and enjoy treats from the concession stand. For more information call (864) 355-8900 or visit Roper Mountain Holiday Lights at the Roper Mountain Science Center in Greenville. Through January 1 – Christmas Park at Mineral Springs Park in Williamston. See Santa in a 1936 fire engine, enjoy cookies and hot chocolate, and be awed by the wonderful array of lights that will surround you. For more information call (864) 704-4502 or visit http://springwaterfestival.com/?cat=50. Wellford. Not only will you enjoy the lights, you will most definitely enjoy the animal interaction. For more information call (864) 472-2038 or visit https://www.facebook.com/HollywildAnimalPark/. Through January 3 – Skating on the Square on Morgan Square in Spartanburg. Spend a little time through the holidays enjoying some outdoor ice skating! For more information call (864) 540-4143 or visit http://www.cityofspartanburg.org/skating-on-the-square. Through January 3 – Upstate Holiday Light Show at the Greenville Pickens Speedway in Easley. Take a tour through the upstates largest interactive light show, with 32 million different colors that will absolutely fascinate you! For more information call (864) 303-8870 or visit http://www.upstatelights.com/. Through January 8 – Shadrack’s Christmas Wonderland at Heritage Park in Simpsonville. This event is called “the world’s largest drive-through, fully-synchronized LED Christmas light and music show of its kind” and isn’t something to miss this holiday season. For more information call (864) 757-3022 or visit http://christmasatheritagepark.com/. Through January 16 – Ice on Main at the Village Green in Greenville. Get into the holiday spirit with a little ice skating, or try out a skate sled. For more information call (864) 467-4355 or visit http://www.iceonmain.com/345/Hours-Tickets-Location. Through January 17 – Holiday Ice at Carolina Wren Park in Anderson. Nothing provides a winter spirit like gliding on ice! For more information call (864) 231-2601 or visit http://downtownandersonsc.com/events/. December 7 – Fountain Inn Christmas Parade in downtown Fountain Inn. Enjoy the excitement that comes from seeing a holiday parade, experiencing the seasonal sounds, and of course, seeing Santa Claus. For more information call (864) 409-1050 or visit http://fountaininnchamber.org/web/events/christmas-past. 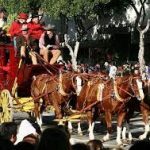 December 8 – 18 – Horse Drawn Carriage Tours through downtown Fountain Inn. Experience a horse drawn carriage ride while enjoying the beautifully decorated town and feeling the joy of the holiday season. For more information call (864) 409-1050 or visit http://fountaininnchamber.org/web/events/christmas-past. December 9 – Carolina Songwriter Series at the Liberty Civic Auditorium in Liberty. The artists presenting are Phil O’Donnell, Kylie Sackley, and Aaron Barker, who will not only perform for you, but tell you about the story behind the songs they’ve written. For more information call (864) 898-5963 or visit http://www.libertycivicauditorium.com/events/list/. December 9 – “Trans Siberian Orchestra” at the Bon Secours Wellness Arena in Greenville. Enjoy the story of “The Ghosts of Christmas Eve” enhanced with great music and a fantastic laser light show! For more information call (864) 241-3800 or visit http://www.bonsecoursarena.com/events/detail/trans-siberian-orchestra. December 9 – Christmas with the Chorale at Furman University in Greenville. This beautiful concert will be performed by the Greenville Chorale and the Hendersonville Symphony Orchestra. For more information call (864) 467-3000 or visit http://www.peacecenter.org/events/detail/33rd-annual-christmas-with-the-chorale. December 9 – 11 – “The One and Only Santa Claus” at the Foothills Playhouse in Easley. This fun presentation for the entire family will be filled with laughter, clever twists, and filled with holiday cheer. For more information call (864) 855-1817 or visit http://www.fhplayhouse.com/wordpress/event-calendar/. December 9 -11 – “A Charlie Brown Christmas” at the Gunter Theater in Greenville. This musical adaptation of the classic animated television special will certainly get you into the holiday spirit! For more information call (864) 467-3000 or visit http://www.peacecenter.org/events/detail/a-charlie-brown-christmas. December 9 – 11 – “The Nutcracker” at the Peace Center Concert Hall in Greenville. This version of this famous Christmas ballet will be performed by the International Ballet. For more information call (864) 467-3000 or visit http://www.peacecenter.org/events/detail/the-nutcracker-2. December 9 – 11 & 16 – 18 – “A Laura Ingles Wilder Christmas” at the Walhalla Civic Auditorium in Walhalla. You’ll learn what took place during the two years of her life that was left out of her stories. For more information call (864) 638-5277 or visit http://www.walhallacivic.com/events.html. December 10 – West Union Christmas Parade on Main Street in West Union. If you are headed to the upstate, stop through this beautiful little town and enjoy the experience of a small town holiday parade filled with floats, music, and fun. For more information call (864) 638-2727 or visit http://www.walhallachamber.com/event-574829. December 10 – 11 – “The Nutcracker” at the Brooks Center for the Performing Arts in Clemson. Presented by the Foothills Conservatory, experience this wonderful holiday favorite ballet during your visit to the area. For more information call (864) 656-7787 or visit http://www.clemson.edu/centers-institutes/brooks/events/event.html?eventid=821383. December 10 – 11 – Winter Invitational Gymnastics Meet at the TD Convention Center in Greenville. At this event you’ll see some of the best gymnasts from North and South Carolina as they compete at a holiday themed venue. For more information call (864) 233-2562 or visit http://tdconventioncenter.com/events/the-winter-invitational-gymnastics-meet/2016/12/10/. December 13 – “Repeat the Sounding Joy” at the Younts Center for Performing Arts in Fountain Inn. The Fountain Inn Chorale will fill your evening with a variety of holiday joy! For more information call (864) 409-1050 or visit http://www.yountscenter.org/. December 13 – Poetry Reading at the Huguenot Mill in Greenville. Students and adults get the opportunity to share their work in a public setting. For more information call (864) 467-3000 or visit http://www.peacecenter.org/events/detail/teen-poetry-reading. December 13 – “St. Paul and the Broken Bones” at the Peace Center Concert Hall in Greenville. This band will present you with a sound like no other, with a little bit of soul, jazz, R&B, funk, and even rock. For more information call (864) 467-3000 or visit http://www.peacecenter.org/events/detail/st-paul-and-the-broken-bones. December 16 – “Rockin’ Radio Christmas Revue” at the Younts Center for the Performing Arts in Fountain Inn. Enjoy an evening of rockin’ holiday tunes, funny sketch comedy, and Christmas tales of long ago. For more information call (864) 409-1050 or visit http://www.yountscenter.org/. December 17 – Ed Harrison Memorial Celtic Christmas Concert at Hagood Mill Historic Site and Folklife Center in Pickens. With the Appalachia region having had an influx of Scottish and Irish immigrants, you’ll have to chance to see how this influenced holiday music in the region. For more information call (864) 898-2936 or visit http://www.visitpickenscounty.com/event/1487/ed-harrison-memorial-celtic-christmas-at-hagood-mill/. December 17 – Teen Workshop and Poetry Slam at the Huguenot Mill in Greenville. Teens 13 – 19 will have the opportunity to participate in workshops that present a variety of topics impacting youth today with the chance to share their work throughout the year. For more information call (864) 467-3000 or visit http://www.peacecenter.org/events/detail/teen-workshop-and-poetry-slam-1. December 17 – 3-on-3 Basketball Tournament at the Woodhall High School Gym in Piedmont. Sign your team up to see if you can be the champs or just sign up to be a contestant for the best of the following: Show-off Shot, Free Throw Shot, the Three Point Shot, and/or the Half-Court Shot. For more information call (864) 329-6403 or visit http://soliver77.wixsite.com/jbjo/community. December 17 – 18 – S.C. Arms Collectors Association’s Fun, Knife, and Militaria Show at the TD Convention Center in Greenville. If you are searching for that special item for that man on your holiday list, this is the event to attend! For more information call (864) 463-9377 or visit http://www.scaca.net/greenville-sc.html. December 18 – 29 – Ice Skating on the Big Ice at the Bon Secours Wellness Arena in Greenville. Spend time between your holiday events to get on the arena ice when the hockey team is away and create a holiday memory you won’t soon forget! For more information call (864) 241-3800 or visit http://www.bonsecoursarena.com/events/detail/skating-on-the-big-ice. December 22 – 23 – “The Nutcracker: Once Upon a Time in Greenville” at the Peace Center in Greenville. This remake of the traditional classic will present several professional dancers to include Daniel Ulbricht from the New York City Ballet, and Jeanette Delgado from the Miami City Ballet. For more information call (864) 467-3000 or visit http://carolinaballet.org/the-nutcracker-2016/. Through December 12 – Painting Party at the Newberry Arts Center in Newberry. Bring your favorite refreshment and enjoy painting yourself a picture for the holidays! For more information call (803) 321-1015 or visit http://www.cityofnewberry.com/area-attractions/points-of-interest/newberry-arts-center. Through December 15 – Holiday Sales Show at the Historic Douglas-Reed House in Camden. You’ll find a variety of handmade items, from jewelry, stained glass, pottery, food items, just to name a few. For more information call (803) 425-7676 or visit http://www.fineartscenter.org/events/2016/12/02/holidayshow2016/. Through December 17 – “Amahl and the Night Visitors” at the Aiken Community Playhouse in Aiken. Based on the Italian folktales of the Nativity and the Epiphany, the story is told from the perspective of Amahl, a disabled boy who lives in poverty in the town of Bethlehem. For more information call (803) 648-1433 or visit http://aikenplayhouse.us/shows/2016-2017-season/. Through December 21 – “The Real Christmas Story” at the NarroWay Theater in Fort Mill. Enjoy a Christmas meal, take a ride on a camel, see the snow fall, and then see the live rendition of this famous story that will put you in touch with what Christmas is all about. For more information call (803) 803-2300 or visit https://narroway.net/dinner-shows/real-christmas-story. Through December 25 – Main Street Lights Special Snowfall Nights in downtown Newberry. Downtown Newberry is transformed for the holidays with beautiful lights, sounds, and the wonderful snow machines to get you into the holiday spirit! For more information call (803) 321-1015 or visit http://www.cityofnewberry.com/area-attractions/annual-events/main-street-lights. Through December 31 – Fantasy of Lights at Swan Lake in Sumter. See the gardens come alive with over one million breathtaking lights displaying some of your favorite cartoon characters, the amazing floating Christmas tree where you can drive through or stop and walk through the displays and the opportunity to visit with Santa, as well as the first two weekends of the month including live entertainment. For more information call (803) 436-2500 or visit http://www.sumtersc.gov/fantasy-of-lights. Through December 31 – North Pole Night in downtown Newberry. Feel a little like you’re at the North Pole with snow machines giving you a wintery feel, and Santa on hand to make your holiday wishes come true. For more information call (803) 3321-1015 or visit http://www.cityofnewberry.com/component/jem/event/216-north-pole-night-downtown. Through January 1 – Children’s Garden Christmas Lights and Kids Walk at the Edisto Memorial Gardens in Orangeburg. Take a drive through the beautifully lighted Gardens, and stop to take a walk through the lighted trails. 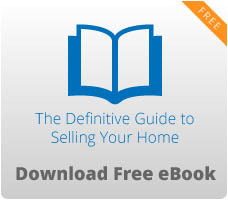 For more information call (803) 533-6020 or visit http://discoversouthcarolina.com/products/2504. Through February 26, 2017 – “Wild Fabrications” and “Nature’s Tapestries” at the Museum of York County in Rock Hill. Enjoy stitched creations of textile artists from around the world, as well as quilted masterpieces by Rock Hills own Dottie Moore who has blended her love of quilting with her love of nature. For more information call (803) 329-2121 or visit http://chmuseums.org/event/2090/. December 7 – York Christmas Parade in historic downtown York. As you watch the sun begin to set, experience beautiful holiday floats and music to peak your holiday spirit. For more information call (803) 684-2590 or visit http://www.greateryorkchamber.com/events. December 8 – “The Gibson Brothers” at the Newberry Opera House in Newberry. You’ll enjoy an evening filled with great traditional bluegrass music by these 2013 Entertainers of the Year at the IBMA World of Bluegrass Awards. For more information call (803) 276-5179 or visit http://www.newberryoperahouse.com/shows-and-events.html?show_name=gibson-brothers. December 8 – “A Stranger for Christmas” at the NarroWay Theater in Ft. Mill. Based on the book by Lynn Pearson, you’ll see the story come to life of a little old lady who is in need of a family for Christmas. For more information call (803) 802-2300 or visit https://www.narroway.net/weekday-shows/weekday-christmas-shows. December 8 – Cultural Celebration of Trees at the Fine Arts Center in Camden. You have the opportunity to see Christmas Trees from a variety of cultures. For more information call (803) 425-7676 or visit http://www.fineartscenter.org/events/2016/12/08/trees2016/. December 8 – “A Christmas Carol Live” at Wood Auditorium in Camden. This will be a unique musical radio drama unlike any version of this tale you’ve seen before. For more information call (803) 425-7676 or visit http://www.fineartscenter.org/events/2016/12/08/frankxmas16/. December 8 – Night of 1000 Lights at Laurens Street and the Alley in Aiken. Enjoy the streets of downtown Aiken lined with luminaries while you shop at local vendors who will be offering holiday treats, beverages, and music. For more information call (803) 649-2221 or visit http://www.visitaikensc.com/calendar/event/night_of_1000_lights4. December 9 – Christmas in Dixie at the Sylvia Theater in York. This annual holiday event brings together local musicians playing holiday tunes all to benefit the needs of children in the area. For more information call (803) 684-5590 or visit http://sylviatheatre.com/. December 9 – Adventure Seekers Kids Night Out: Laser Tag Edition at the Anne Springs Close Greenway in Ft. Mill. Enjoy some shopping while your child enjoy pizza, indoor games, and outdoor laser tag, followed by roasting marshmallows over a fire. For more information visit http://www.ascgreenway.org/events/detail/adventure-seekers-kids-night-out-27. December 9 – “John Berry Christmas” at the Sumter Opera House in Sumter. You’ll enjoy holiday music performed by this Grammy Award winning country music star. For more information call (803) 436-2616 or visit http://www.sumtersc.gov/sumter-opera-house. December 9 – “George Winston” at the Newberry Opera House in Newberry. Fill your evening with a variety of songs performed by this amazing pianist. For more information call (803) 276-5179 or visit http://www.newberryoperahouse.com/shows-and-events.html?show_name=george-winston. December 9 – Madrigal Dinner: A Yuletide Feast at the Houndslake Country Club Ballroom in Aiken. 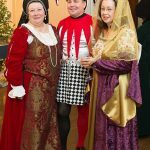 Enjoy a Renaissance Yuletide feast while enjoying wearing your favorite Renaissance attire, enjoying Renaissance instruments being played to fill the atmosphere with holiday music, and enjoying entertainment by a Jester. For more information call (803) 649-6570 or visit http://www.visitaikensc.com/calendar/event/aiken_choral_society_madrigal_dinner. December 10 – Santa Train at the South Carolina Railroad Museum in Winnsboro. Get the chance to take a train ride with Santa and kids can present to him in person their holiday letters! For more information call (803) 712-4135 or visit http://www.scrm.org/. December 10 – Twilight Santa Express at the South Carolina Railroad Museum in Winnsboro. This fun evening excursion will include cookies and hot chocolate, photos with Santa, and a Christmas story. For more information call (803) 712-4135 or visit http://www.scrm.org/. December 10 – “The Stranger: A Billy Joel Tribute” at the Sylvia Theater in York. Artist and performer Mike Santoro will provide you with an evening of entertainment that will leave you feeling like you’ve just been to a Billy Joel concert! For more information call (803) 684-5590 or visit http://sylviatheatre.com/. December 10 – Christmas Candlelight Tours at Historic Brattonsville in McConnells. You will have the opportunity to see 18th and 19th Century holiday traditions brought back to life, as well as a campfire, holiday entertainment, visits from Santa, and more! For more information call (803) 684-2327 or visit http://chmuseums.org/event/2072/. December 10 – Candlelight Tour of Homes in historic Camden beginning at the Camden Archives Museum. Enjoy a self-paced tour of some of the city’s most historic homes and historic sites decorated for the holidays. For more information call (844) 826-1010 or visit http://cjwltourofhomes.wixsite.com/2016. December 10 – Christmas Tour of Homes at various historical homes in Newberry. See some of the most beautiful homes in the town decorated in beautiful holiday attire. For more information call (803) 276-4274 or visit http://www.newberrycountychamber.com/2016-christmas-tour-of-homes. December 10 & 17 – Christmas Crafts at the Farmers Market at the Aiken County Farmers Market in Aiken. Local craft vendors will be on hand to shop with, as well as to purchase fresh foods for your holiday cooking and baking, all while you enjoy live entertainment. For more information call (803) 293-2214 or visit http://www.visitaikensc.com/calendar/event/christmas_crafts_the_farmers_markets. December 10 – 11 – Christmas in Olde York at a variety of locations around Olde York. You’ll visit several homes on Liberty Street, the Episcopal Church of the Good Shephard, as well as several other homes. For more information call (803) 684-2590 or visit http://yorkvillehs.com/v2/christmas-in-olde-york/. December 10 – 11, 15 – 23, & 26 – Christmas in Hopelands at Hopelands Gardens in Aiken. Take an enchanted walk through 2 miles of beautifully lighted paths and displays. For more information call (803) 642-7650 or visit http://www.visitaikensc.com/calendar/event/christmas_in_hopelands. December 10 – 11 – “The Nutcracker” at the Martin Luther King Auditorium on the South Carolina State University Campus in Orangeburg. The Orangeburg Civic Ballet . . . . For more information call (803) 533-0017. December 11 – Christmas Concert at the Camden High School Auditorium in Camden. Presented by the Camden Community Concert Band, you’ll enjoy an afternoon filled with wonderful holiday music! For more information call (803) 425-7676 or visit http://www.fineartscenter.org/events/2016/12/11/cccbchristmas2016/. December 11 – Jaycees Christmas Parade in downtown Aiken. Enter to participate or just come out and enjoy the variety of holiday floats and enjoy the fun! For more information call (803) 761-7081 or visit http://www.aikenjaycees.com/. December 13 – 14 – “The Nativity Set” at the NarroWay Theater in Ft. Mill. This highly entertaining presentation for the entire family will leave you to never see a Nativity Set in the same way again, with the show being followed with a petting zoo. The December 13th show is for families with special needs and will be a sensory friendly performance. For more information call (803) 802-2300 or visit https://www.narroway.net/weekday-shows/weekday-christmas-shows. December 15 – “A Stranger for Christmas” at the NarroWay Theater in Ft. Mill. Based on the book by Lynn Pearson, you’ll see the story come to life of a little old lady who is in need of a family for Christmas. For more information call (803) 802-2300 or visit https://www.narroway.net/weekday-shows/weekday-christmas-shows. December 16 – “The Ballet Story of the Nutcracker” at the Woods Auditorium in Camden. Presented by the Dance Palace, you’ll see local dancers perform the ballet, while being serenated by the new Community Choir. For more information call (803) 425-7676 or visit http://www.fineartscenter.org/events/2016/12/16/nutcrackerfundraiser16/. December 16 – Furever Friend Friday at the Aiken County Visitors Center in Aiken. Come out and look for that forever friend for your loved one for Christmas. For more information call (803) 642-7557 or visit http://www.discoveraikencounty.com/calendar.html. December 16 – 17 – “Nifty 50’s Christmas Show” at the Magnolia Room in Rock Hill. Presented by the Showtime Theatre Company, you’ll enjoy 50’s tunes, holiday favorites from that era, as well as a visit from Santa, with dessert and snack trays and drinks available to enjoy during the show. ! For more information visit http://www.showtimetheatrecompany.com/nifty-50s-christmas-show.html. December 17 – Santa Train at the South Carolina Railroad Museum in Winnsboro. Get the chance to take a train ride with Santa and kids can present to him in person their holiday letters! For more information call (803) 712-4135 or visit http://www.scrm.org/. December 17 – Twilight Santa Express at the South Carolina Railroad Museum in Winnsboro. This fun evening excursion will include cookies and hot chocolate, photos with Santa, and a Christmas story. For more information call (803) 712-4135 or visit http://www.scrm.org/. December 17 – “John Cowan with Darin and Brooke Aldridge” at the Sumter Opera House in Sumter. Cowan, one of the original Doobie Brothers, is jointed by the Aldridge’s for a wonderful evening of great entertainment. For more information call (803) 436-2616 or visit http://www.sumtersc.gov/sumter-opera-house. December 17 – “Home for the Holidays” at the Etherredge Center in Aiken. Presented by the Aiken Symphony Orchestra, this will be a fun night of holiday entertainment. For more information call (803) 641-3305. December 18 – “The Nutcracker” at the Etherredge Center in Aiken. Performed by the Aiken Civic Ballet, you will enjoy this enchanted holiday tale by these wonderful performers. For more information call (803) 641-3305 or visit http://www.aikenballet.org/. Through December 18 – “White Christmas” on the Charleston Stage at the Dock in Charleston. You are sure to enjoy this heartwarming musical rendition of the favorite holiday classic film. For more information call (843) 577-7183 or visit http://www.charlestonstage.com/shows-and-tickets/40-white-christmas.html. Through December 18 – “The Nuncrackers” at The Footlight Players Theatre in Charleston. See the Little Sisters of Hoboken as they prepare for the schools presentation of the Nutcracker performance when disaster strikes. For more information call (843) 722-4487 or visit http://footlightplayers.net/events/event/nuncrackers/. 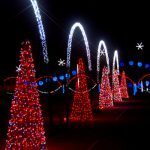 Through December 30 – Celebrate the Season Holiday Lights Driving Tour at Santee Cooper and Old Santee Canal Park in Moncks Corner. This driving tour will take you to both of these locations where you will see dozens of beautifully lighted and animated displays. For more information call (843) 899-5200 or visit http://celebratetheseason.oldsanteecanalpark.org/. Through December 31 – Dove Street Festival of Lights at the Shelter Cove Towne Center on Hilton Head Island. You’ll not want to miss this amazing event where you park your car and walk through this amazing display of lights, with floating bubbles, stores to shop in, establishments to eat in, nightly entertainment, and more! For more information call (843) 686-3090 or visit http://www.sheltercovetownecentre.com/events/dovestreet. Through December 31 – Festival of Trees at Ripley’s Aquarium in Myrtle Beach. You’ll be filled with awe at all of the amazingly decorated trees you will see! For more information call (800) 734-8888 or visit https://www.ripleyaquariums.com/myrtlebeach/. Through January 1 – “Christmas Show of the South” at the Carolina Opera in Myrtle Beach. Nothing will get you in the holiday spirit like this show will! For more information call (800) 843-6779 or visit http://www.thecarolinaopry.com/myrtle-beach-shows/christmas-special/. Through January 1 – Holiday Festival of Lights at James Island Park on James Island. The lights are back for another year of holiday wonder that you won’t want to miss! For more information call (843) 795-4386 or visit http://ccprc.com/1546/Holiday-Festival-of-Lights. Through January 2 – “The South’s Grandest Christmas Show” at the Alabama Theater in Myrtle Beach. Unlike anything you’ve ever seen before, you’ll be sure to create memories when you see this show! For more information call (800) 342-2262 or visit http://www.alabama-theatre.com/06/ChristmasShow.html. December 7 – “Love Jones The Musical” at the North Charleston Performing Arts Center in North Charleston. This musical given the Black Film Award for the Best Soundtrack at the Sundance Film Festival in 1997 is a love story about a photographer and a novelist in Chicago’s middle class black artists and professionals. For more information call (843) 529-5000 or visit https://www.northcharlestoncoliseumpac.com/events/detail/love-jones-the-musical. December 8 – 10, 15 – 18 – Nights of a Thousand Candles at Brookgreen Gardens in Myrtle Beach. Experience Brookgreen like never before with beautiful candles and lights creating mesmerizing displays and an ethereal holiday feel. For more information call (843) 718-4253 or visit http://www.brookgreen.org/NightsofaThousandCandles.html. December 9 – The History of Craft Brewing at the Morris Heritage Center in Ridgeland. Learn about the history and secrets of craft brewing from a local certified Brew Master. For more information call (843) 284-9227 or visit http://www.morrisheritagecenter.org/events/. December 9 – 10 & 16 – 18 – Festival of Lights at Hoffmeyer Place in Florence. This drive-thru event will amaze you and fill you with holiday joy and excitement. For more information call (843) 388-5968 or visit https://florencefestival15.eventscff.org/. December 9 – 12 – “The Singing Christmas Tree: Not Just Another Christmas” at the First Baptist Church in Georgetown. For more information call (843) 546-518y or visit http://www.fbcgeorgetown.org/?lightbox=dataItem-iw2al9ta. December 10 – “The Best Christmas Pageant Ever” at the Charleston Stage on the Dock in Charleston. When the worst kids in town manage to get the leading roles in the local Christmas Pageant, it is expected that everything sacred will be lost, but in the end the true meaning of Christmas is rediscovered in this wonderful story everyone should see! *This days presentation is a sensory performance for those with special needs. For more information call (843) 577-7183 or visit http://www.charlestonstage.com/shows-and-tickets/41-the-best-christmas-pageant-ever.html. December 10 – Sweetgrass Wreath Making at the Coastal Discovery Museum on Hilton Head Island. Learn the history of sweetgrass basket making and using the same techniques, learn how to make your own holiday wreath using local materials. For more information call (843) 689-6767 or visit http://www.coastaldiscovery.org/event-registration/?ee=4354. December 10 – Hartsville Christmas Parade on South Fifth Street in Hartsville. If you are in the area, be sure to spend time enjoying this local holiday parade filled with floats and lots of holiday music! For more information call (843) 917-0602 or visit https://hartsvillefortheholidays.com/hartsville-christmas-parade/. December 10 – Holiday Farmers Market and Craft Show at the Market Pavilion in Mount Pleasant. Prepare for your holiday feast by purchasing your fresh produce, breads, and meats, as well as shopping for those individuals on your holiday list, or just getting a special treat for yourself! For more information call (843) 884-8517 or visit https://experiencemountpleasant.com/events/holiday-farmers-market/. December 10 – Holiday Parade of Boats at the Charleston Maritime Center in Mount Pleasant. Enter your boat or just come out and enjoy the amazingly decorated boats in honor of the Season, which will be preceded by a viewing party that will include tasty foods and holiday tunes, as well as give you the advantage of the best vantage points for the parade. For more information call (843) 72407414 or visit http://www.charlestonparadeofboats.com/. December 11 – “Christmas at Sottile” at the Sottile Theater in Charleston. Find yourself filled with holiday joy as you listen to holiday favorite songs presented by the Charleston Men’s Chorus. For more information call (843) 803-5507 or visit http://sottile.cofc.edu/events-upcoming/. December 11 – Mount Pleasant Christmas Light Parade on Coleman Boulevard in Mount Pleasant. Enjoy over 100 beautifully decorated and lighted floats that will awe and amaze you in all their holiday glory! For more information call (843) 884-8517 or visit https://experiencemountpleasant.com/events/christmas-light-parade/. December 14 – Concert for the Kids at the North Charleston Performing Arts Center in North Charleston. Include in this event will be country artists Gary Allan, Maren Morris, and Big & Rich. For more information call (843) 529-5000 or visit https://www.northcharlestoncoliseumpac.com/events/detail/concert-for-the-kids. December 16 – “Haley Mae Campbell” at the Music Farm Den in Charleston. This locally raised singer/songwriter has only been on the scene for not quite 2 years, but is making her name known, so come out and support this amazing artist! For more information visit http://www.musicfarm.com/event/1394350-haley-mae-campbell-in-charleston/. December 16 – “The Nutcracker Ballet” at Center Theater in Hartsville. Presented by the Columbia City Ballet, if you missed the local presentation, but sure to see this one! For more information call (843) 332-5721 or visit https://hartsvillefortheholidays.com/. December 16 – 17 – “Snow Queen” at the Sottile Theater in Charleston. Ballet Evolution will present this beautifully written classic tale by Hans Christian Anderson, with music performed by the Chamber Music Charleston, and young aspiring dancers from the Charleston Dance Institute. For more information call (843) 805-5507 or visit http://sottile.cofc.edu/events-upcoming/. December 17 – The Best Christmas Pageant Ever” at the Charleston Stage on the Dock in Charleston. When the worst kids in town manage to get the leading roles in the local Christmas Pageant, it is expected that everything sacred will be lost, but in the end the true meaning of Christmas is rediscovered in this wonderful story everyone should see! For more information call (843) 577-7183 or visit http://www.charlestonstage.com/shows-and-tickets/41-the-best-christmas-pageant-ever.html. December 17 – “The Night Before Christmas” at the Sottile Theatre in Charleston. This Classical Kids Concert will be presented by musicians from the Chamber Music of Charleston as they serenade you will holiday tunes, while actors from the Actors Theatre of South Carolina retell classic Christmas tales. For more information call (843) 763-4941 or visit http://chambermusiccharleston.com/th_event/classical-kids-concert/. December 17 – Sweetgrass Wreath Making at the Coastal Discovery Museum on Hilton Head Island. Learn about the history of the sweetgrass basket and using the same technique, learn how to make your own holiday wreath using local materials. For more information call (843) 689-6767 or visit http://www.coastaldiscovery.org/event-registration/?ee=4354. December 19 – Christmas Through the Ages at Old St. Andrews Parish Church in Charleston. Take a journey across the centuries with The Kings Counterpoint as they trace the history and beauty of Christmas music through the ages with this event being free for attendees, so don’t miss this spectacular holiday event. For more information call (843) 766-1541 or visit http://www.thekingscounterpoint.com/. December 20 – “The Nutcracker” at the Sottile Theatre in Charleston. If you haven’t seen this wonderful rendition presented by the South Carolina Ballet, you are in for a special treat! For more information call (843) 805-5507 or visit http://sottile.cofc.edu/events-upcoming/. December 20 – Christmas Through the Ages at Grace Church Cathedral in Charleston. Take a journey across the centuries with The Kings Counterpoint as they trace the history and beauty of Christmas music through the ages with this event being free for attendees, so don’t miss this spectacular holiday event. For more information call (843) 766-1541 or visit http://www.thekingscounterpoint.com/. December 22 – “Home for the Holidays” at the Sottile Theatre in Charleston. This epic variety show will include many of the local favorites doing comedy, dance, storytelling, to include stand-up comedy with Jeremy McClellan and Joseph Coker. For more information call (843) 805-5507 or visit http://sottile.cofc.edu/events-upcoming/. December 24 – Jingle Jingle 5K Road Race and Health Walk at the Hilton Head Hospital Campus on Hilton Head Island. Burn off some holiday calories while enjoying the opportunity to enjoy the outdoors, have some fun, and of course, wear festive attire. For more information visit http://www.bearfootsports.com/heels_jingle_bell_run.htm. December 27 – Second Annual Goo Jam at the Music Farm in Charleston. Enjoy bands such as Guilt Ridden Trabadour, Salley & George, Danielle Howle, and many many more! For more information visit http://www.musicfarm.com/event/1390009-2nd-annual-super-goo-jam-pre-charleston/.